A rudimentary relationship of love was an integral principle for an ethical life, said Hegel once. However, gone are the days when love was meant forever; Millennials, today only look for casual hook-ups. They propose a love story that ends as quickly as possible, involves less responsibility but more fun. The god of desire and love has come down to this dating app called OkCupid to find you better love relationships. It uses its algorithm to find people you’ll like. It’s free and uses math to help you connect your desired date. If you are looking for an ambitious and like-minded match, then Inner circle could be your choice. 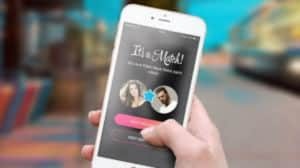 It is a selective dating app, launched in 2013 with an approach that you hit-off with the right person. Haven’t worked out your fingers in the gym? Tinder can help you in toning your fingers by swiping left to reject and swiping right for a prospective date. 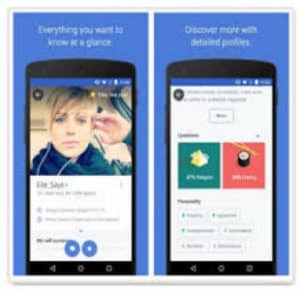 It was launched in 2012 and is a location-based social search app. Just saw a cute guy while crossing the road and don’t know how to connect? Let Happn be your wingman. 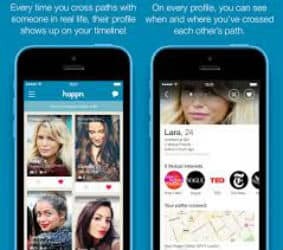 As Happn makes it happen so swiftly. It connects you with people you just crossed paths with. Hinge offers thoughtful dating for thoughtful people. Hinge will not connect you with extreme random strangers but with people who you have mutual friends on Facebook. It is compatible with both platforms – Android and iOS.